I love bunchberry. It is very common in the woods of the Mt Hood National Forest. 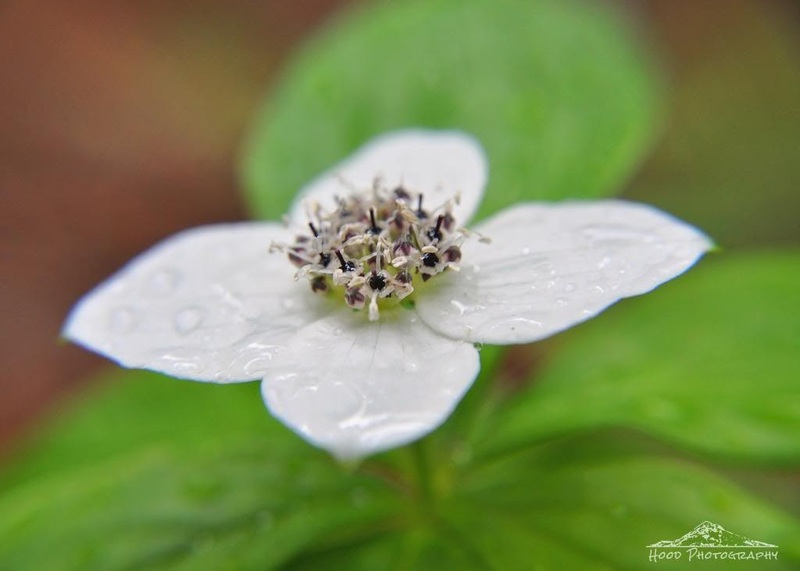 At some point I would like to plant some in my shade garden, as its short stature creates a beautiful ground cover, and the flower itself resembles that of a dogwood. I've never heard of bunchberry, but it sure is pretty! Thanks for sharing. I've never heard of it either. It's very pretty indeed. Thank you for sharing. I had never heard of this either, but it is pretty! awesome shot of the wetness on the petals. Perfection! Sometimes the most simple bloom is the loveliest! Hope you can plant some in the shade in your yard one day. Love the dew...great photo! Gorgeous photo of flower !